The last few days Mimi was in town and we had a blast celebrating Ashlynn's birthday all over again. We had more cake, broke out the paints, and just basically let all the sillies out. 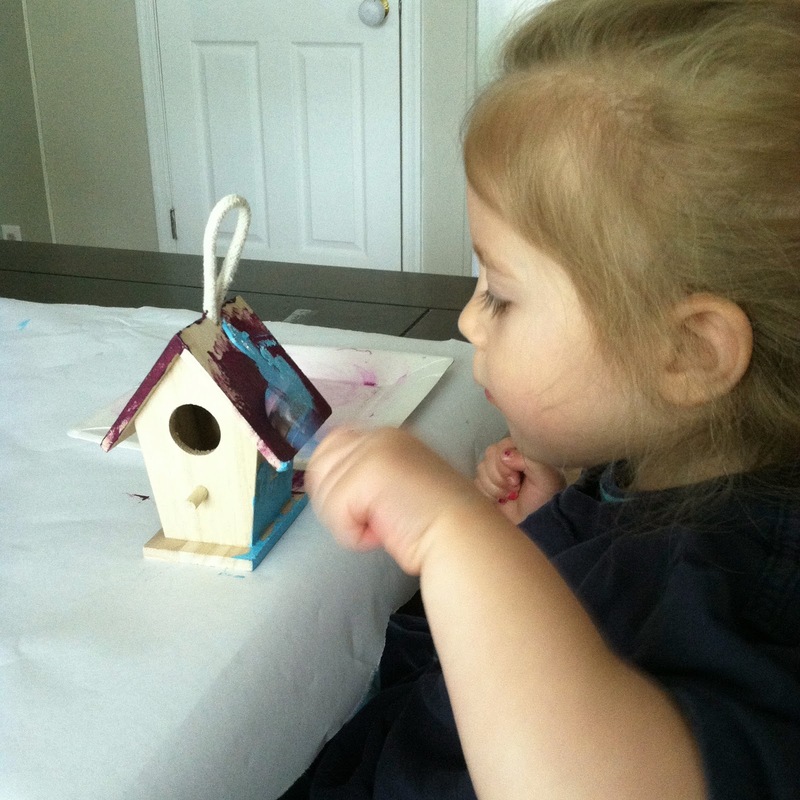 This bird house was first purple, then light blue, now mostly dark blue. Although, we had a happy and mostly quiet kiddo for a solid 40 minutes. We did another Mother's Day craft, I'll share next week after I upload the pictures. While Ashlynn was at school yesterday morning, we went out did some shopping with Kenley in tow. We scoured HomeGoods, then headed over to a local bookstore. It's a great little shop and I love browsing all the kids books while the kids play with some of the toys. I always find such cute books, but as terrible as it is, I rarely buy them at the store when I know shopping Amazon will come through with a significant discount. I know, horrible. I love supporting small business, and local business, but I'm also a sucker for a discount and saving money. 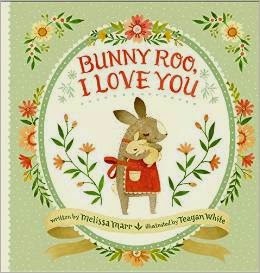 Anyway, I saw this brand new book "Bunny Roo, I Love You" and of course was smitten with the bunnies and gorgeous illustrations. I saw the illustrator was Teagan White and couldn't place where I knew her until I got home, she created a line a fabric that fell for back when I was making teepees and even have some yardage of one of the prints. I loved this post on Project Nursery earlier in the week. My mom lives in Woodstock, and is the quintessential garden loving hippie lady. Kenley is a bit too little this year, but I think I'm going to try to collect the supplies over the next year, so the girls can make these gardens with her next year. I can see it becoming a spring tradition of planting flowers in their little fairy gardens with their Mimi. So cute. A few weeks back I hosted a giveaway to BoomBoom Prints, a company that allows graphic designers to simply upload their artwork to the site and they turn it into beautiful products for young families like wall prints, onesies, baby bibs, and more. The best part? 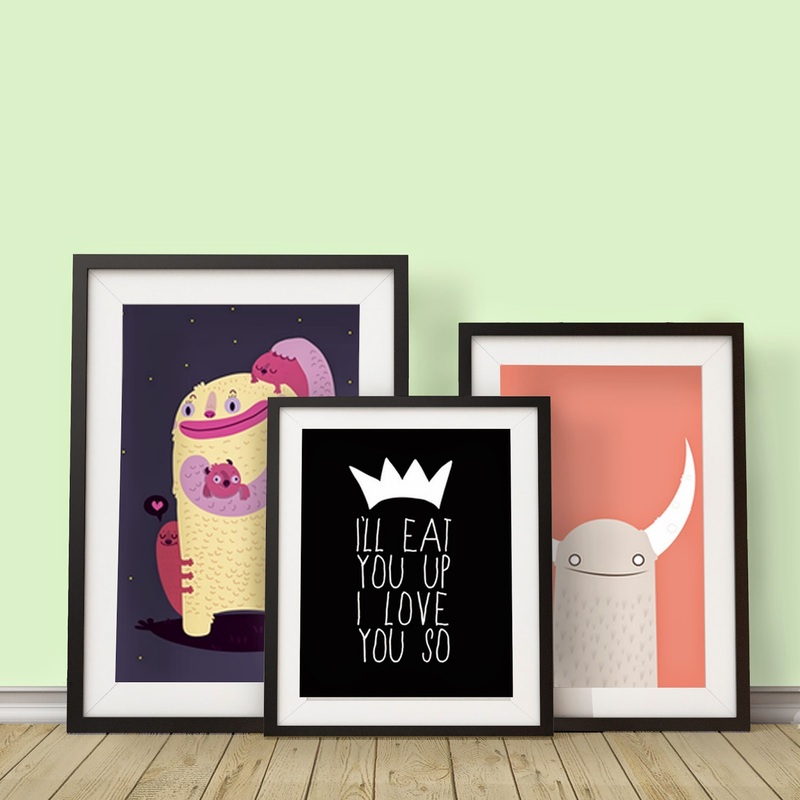 All the artwork is family-friendly and perfect for kids rooms, playrooms, and nurseries. 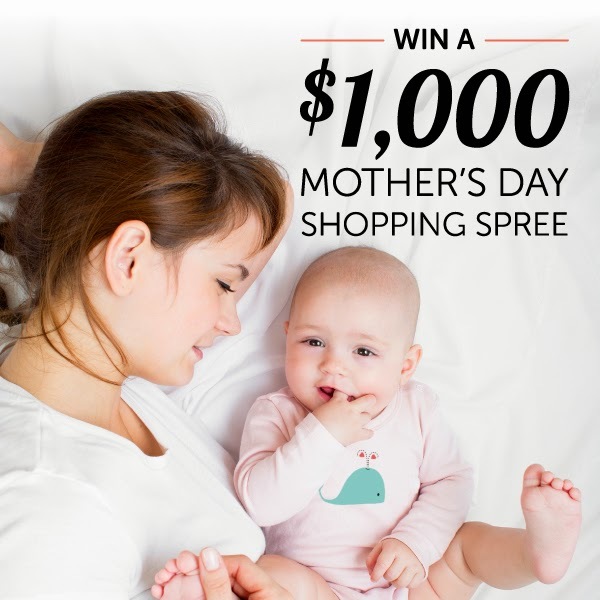 I recently was made aware that they are running a $1,000 Mother's Day Shopping Spree, with one lucky winner receiving a $500 gift card to BoomBoom Prints and a $500 Visa gift card! You can enter the giveaway below (or here) until May 9th. Good Luck! I love the little fairy gardens! My mom has been wanting to make one for Owen for a while now but we've never gotten around to it. I'm the same way about buying books-- I always check the price on my phone on Amazon before buying it, especially since we have Prime. Hope you all have a great weekend! Same with the prime, and now I sync'd all my wishlists with Camel Camel Camel so I get alerts when prices drop to what I want. Just picked up Rosie Revere Engineer this morning for 50% off. I feel bad bc I no it's killing the brick and mortar, but I could buy two books for the price of one, it's hard to fight that! Oh my gosh that Fairy Garden is so sweet!! I have been wanting to make one for years (pre-Ellie) but now that she is a bit older I might be able to get away with it now!! What a fun tradition idea as well!! Speaking of the TeePee's are you going to make them again or are you retired? Ooh please tell me your Mother's Day craft! I need ideas desperately! I need ideas for the grandmas :). Love the bird feeder! I might have to do that with Noah one day... He loves to paint too! That book looks so sweet! The illustrations look amazing. Ill have to add it to our baby-to-be's nursery book list. It will make your new mama heart melt. It equates all the little things babies do to animals, "bouncing like a kangaroo, I tucked you in my pouch, thirsty like a kitten, so I gave you milk" things like that, then ends with mama and baby. Sweet little book. It's nothing crazy elaborate or overly special, just your typical handprint/footprint art, but it was fun and cute since Mimi did it with Ashlynn. So not much of a surprise, but a fun activity for them and now she'll have the keepsake. Yeah, pretty retired now. I just don't have much time to complete them, or at least on a timely basis. I've been struggling getting time to blog! Oh, that book and the fabric are gorgeous! 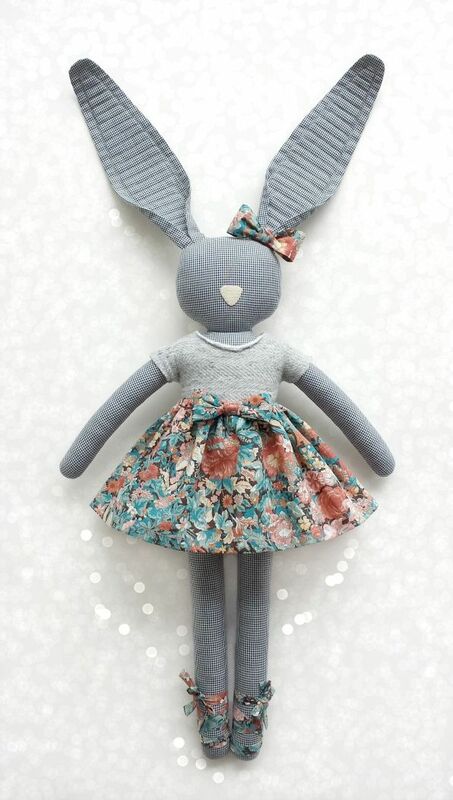 I so love your bunny obsession. I will always vote YES to more bunnies!